LOS ANGELES — Nipsey Hussle, the skilled and respected rapper who earned a Grammy nomination this year for his major-label debut and was heavily respected in South Los Angeles where he grew up, has died, authorities said. He was 33. The Eritrean-American said his first passion was music but getting resources was tough since he left his mother’s house at 14 to live with his grandmother. 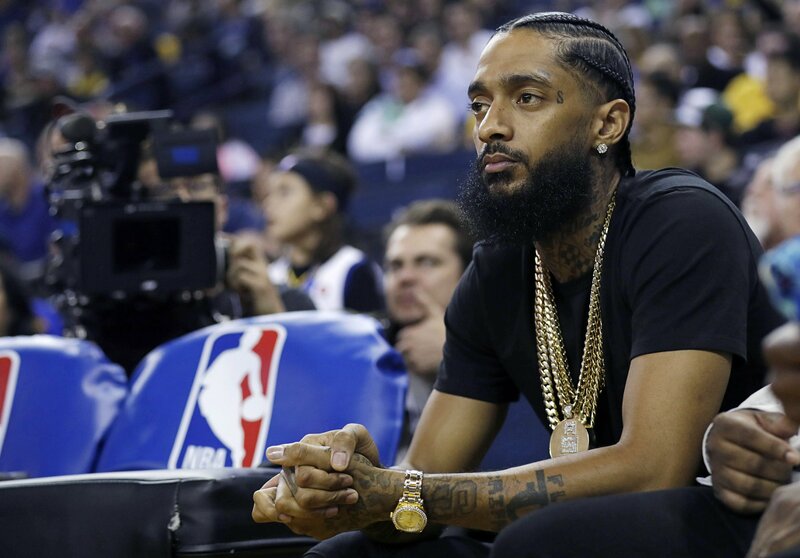 Hussle said he got involved in street life as he tried to support himself, and he joined the gang Rollin 60′s Neighborhood Crips as a teenager. At this year’s Grammy Awards, “Victory Lap” was one of five nominees for best rap album in a year that hip-hop dominated the pop charts and streaming services and a number of top stars released projects, including Drake, Eminem and Kanye West. Cardi B’s “Invasion of Privacy” won the honor last month, while the other nominees were Travis Scott, Pusha T and Mac Miller. In 2016, Hussle and rapper YG released the protest song “FDT,” short for ”(Expletive) Donald Trump,” criticizing the U.S. President’s policies when he was the Republican presidential candidate.